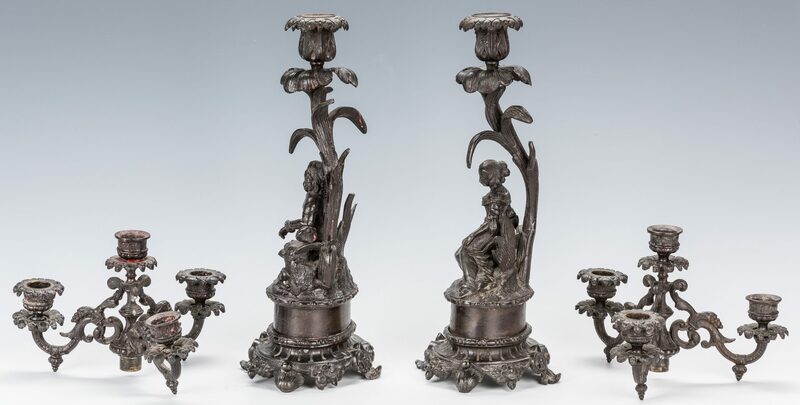 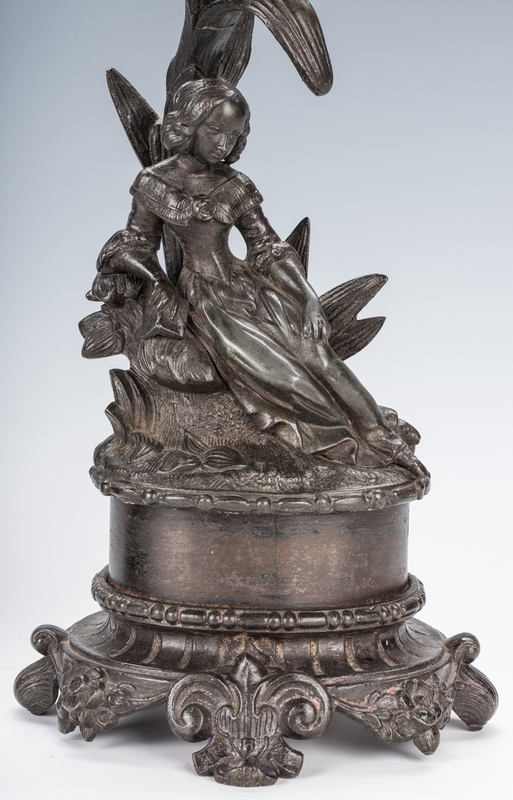 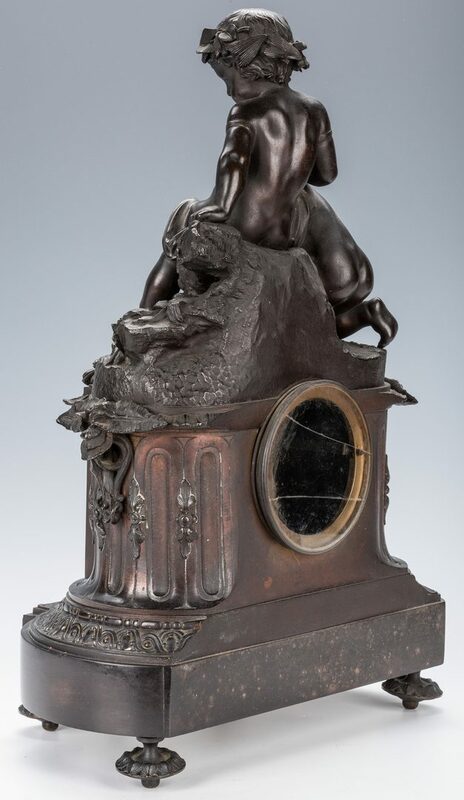 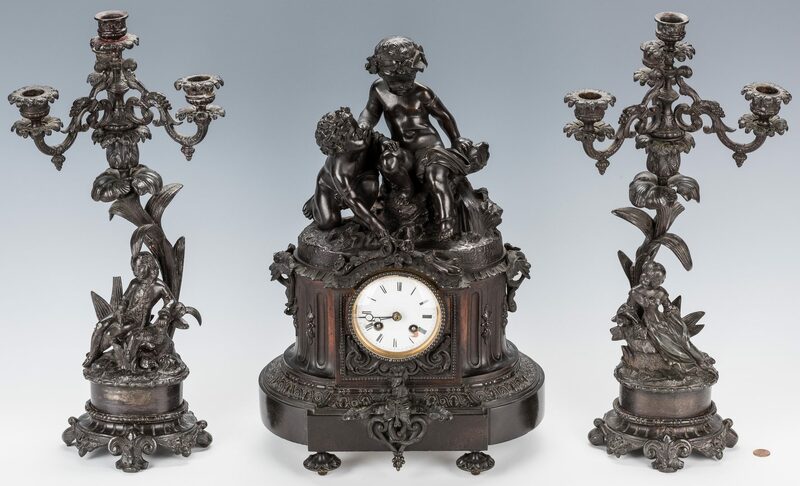 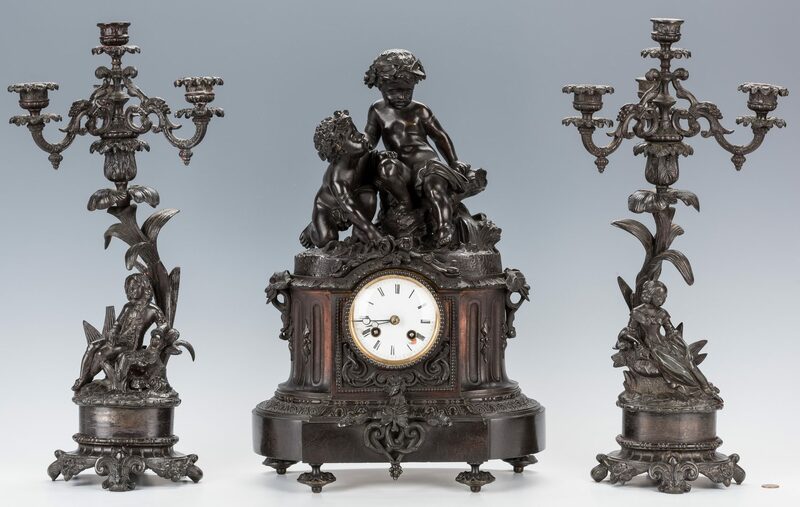 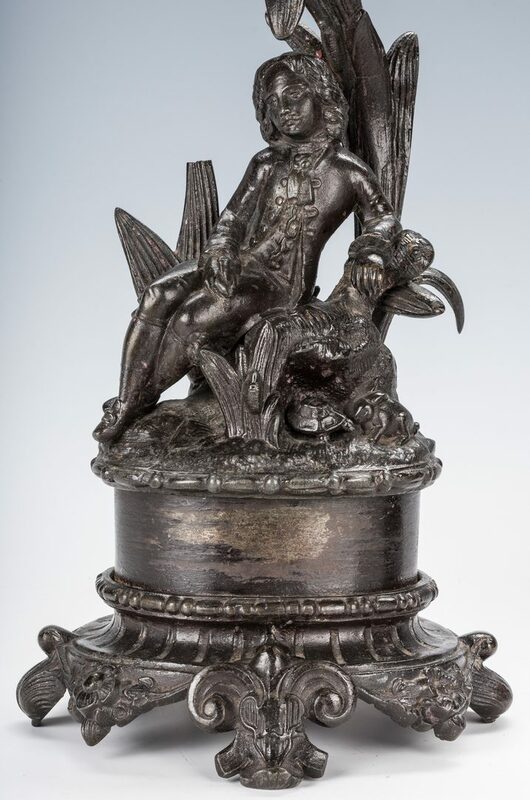 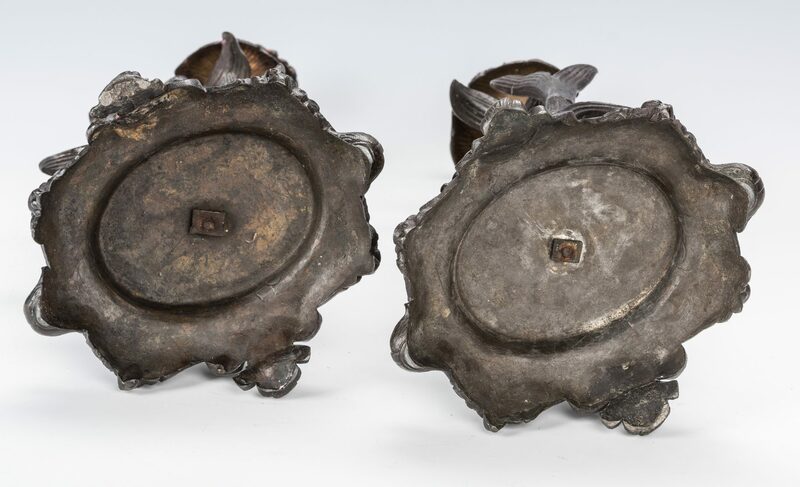 French Louis XVI style bronze figural garniture comprised of a clock and candelabra. 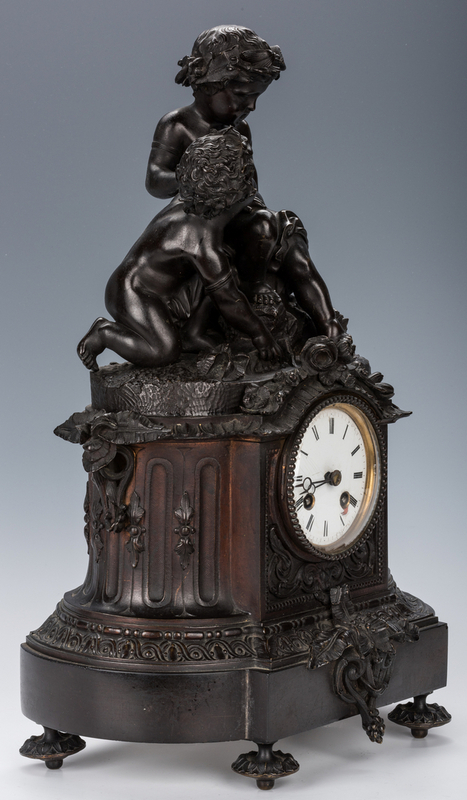 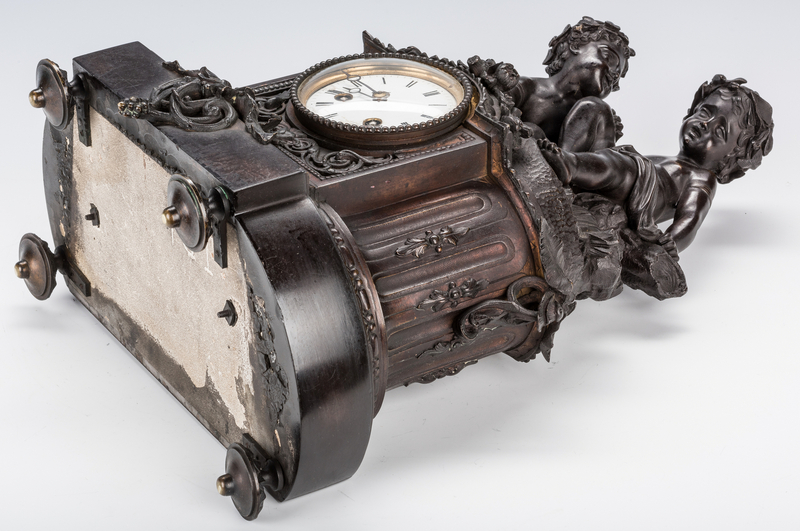 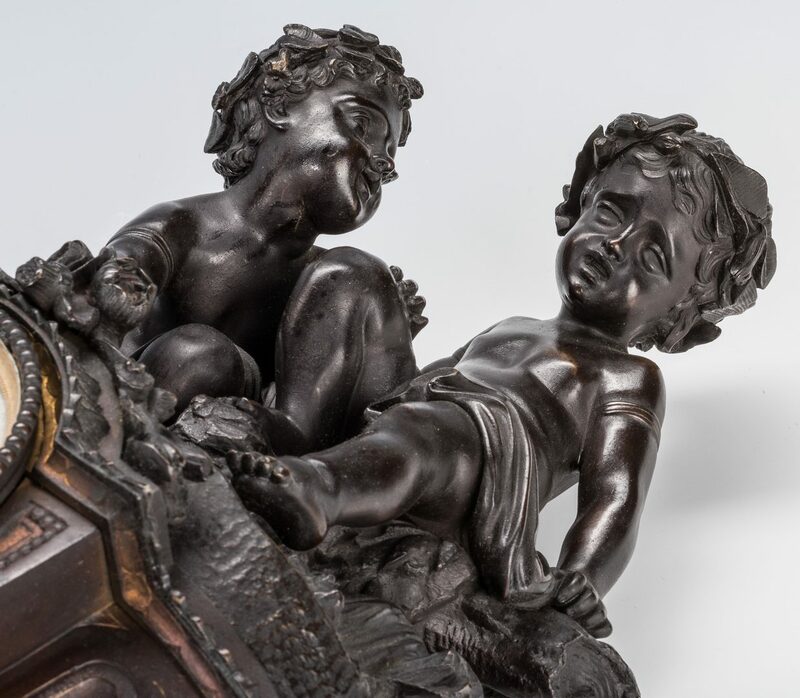 Clock surmounted by cherubs on a naturalistic base with a shaped columnar body. 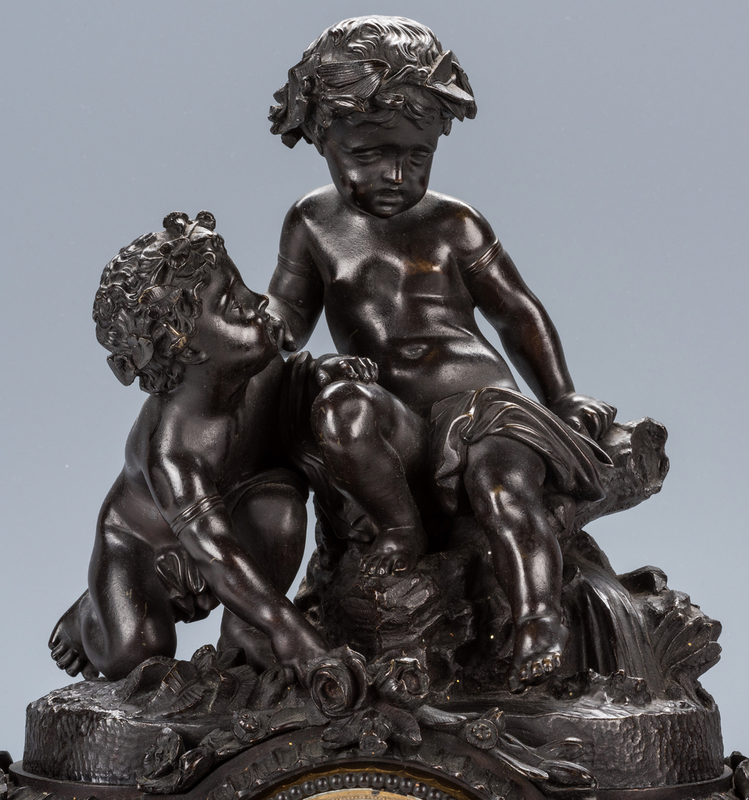 Works with impressed medallion mark "Japy Freres et cie / Med. 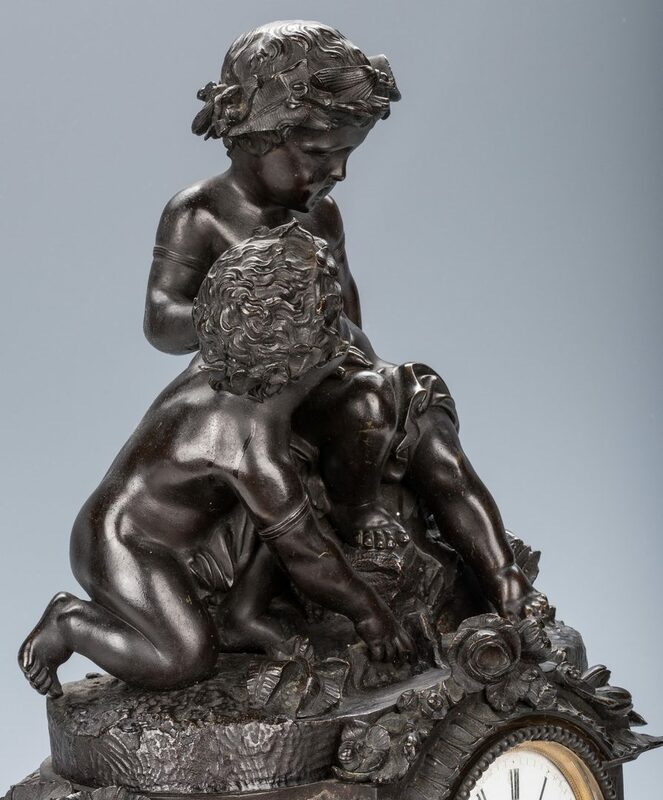 d'Honneur" and impressed numbers "25252". 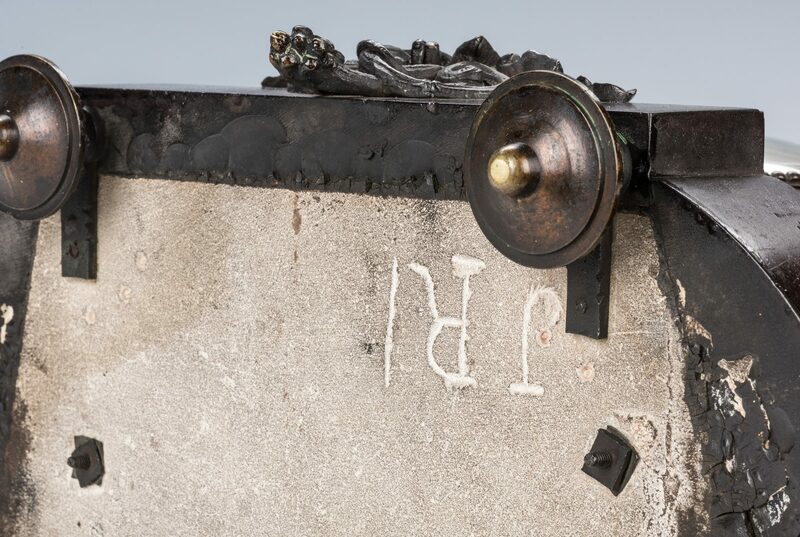 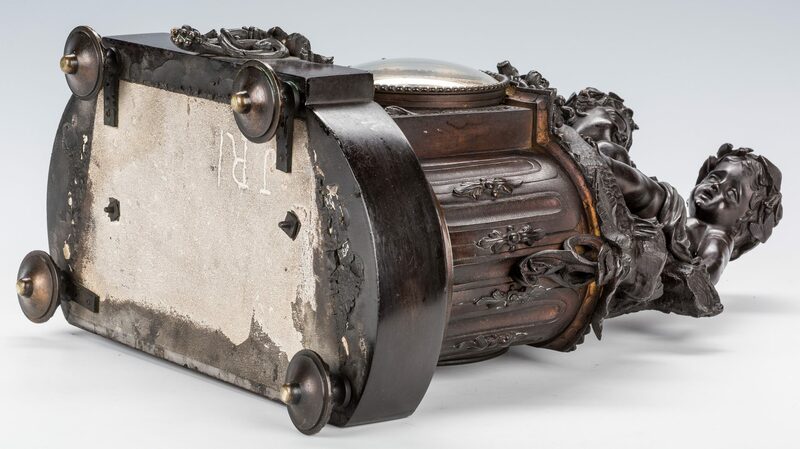 Underside of base with impressed initials "J.R.I.". 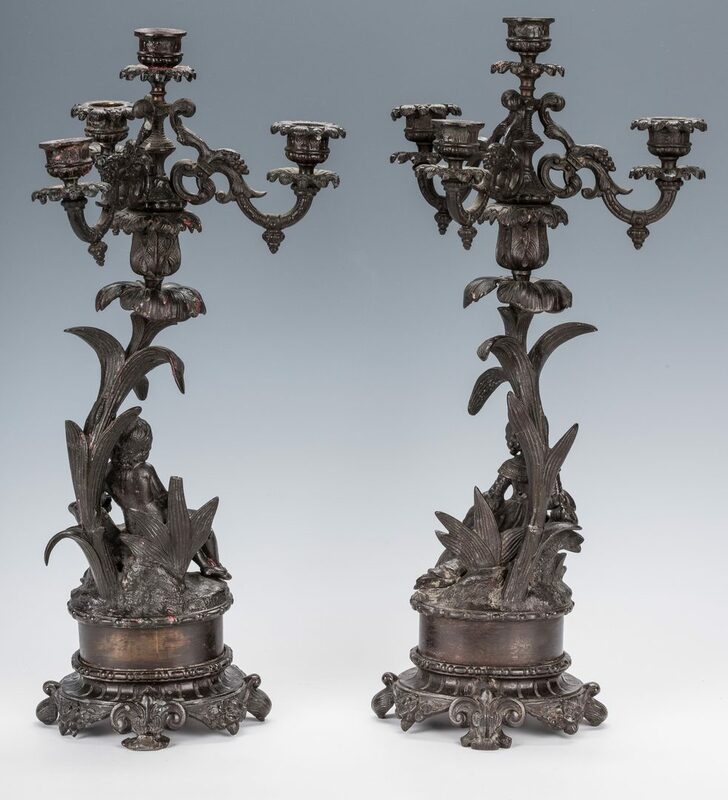 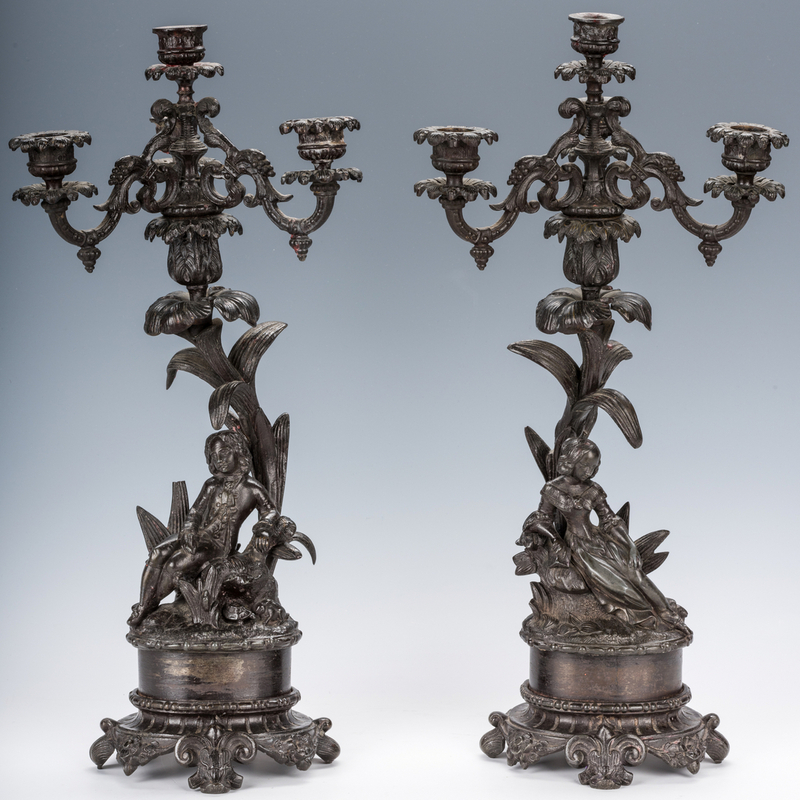 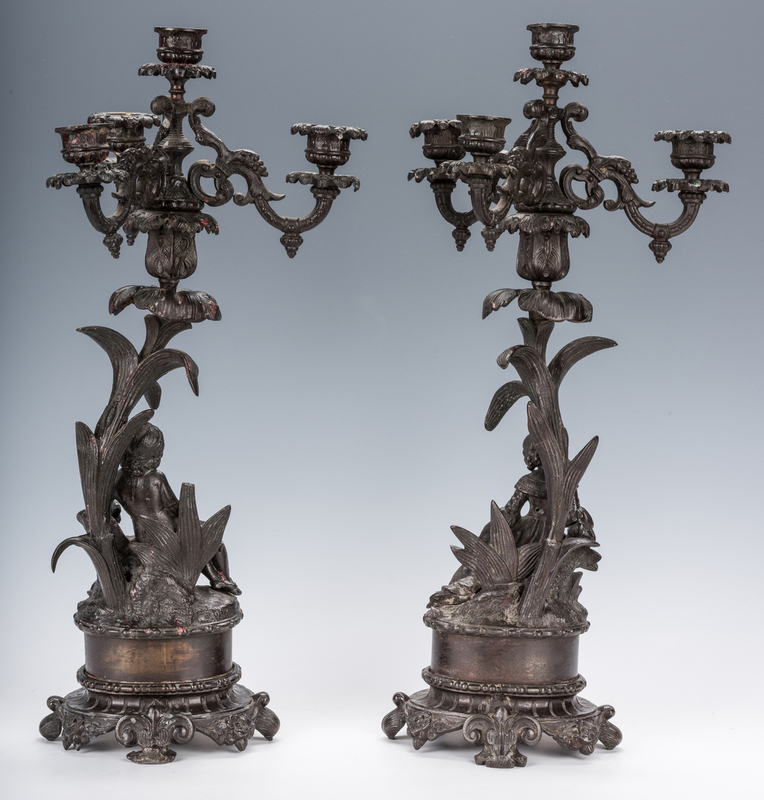 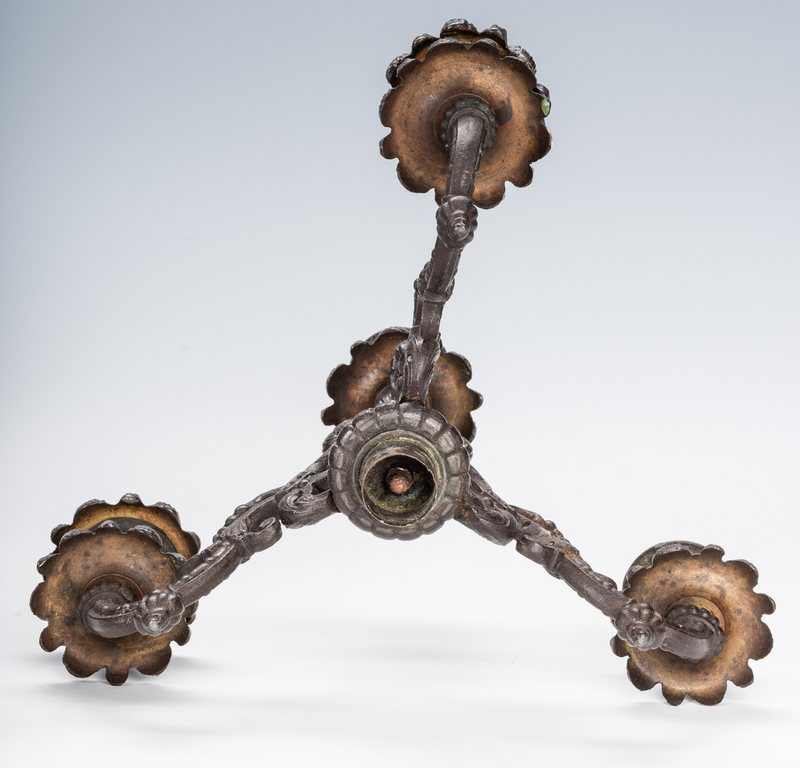 Together with a pair of three-arm convertible bronze figural candelabra of the same design. 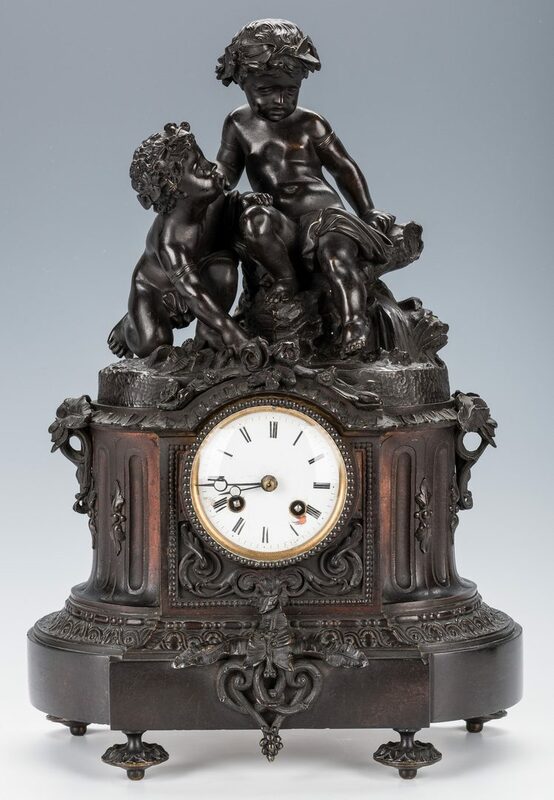 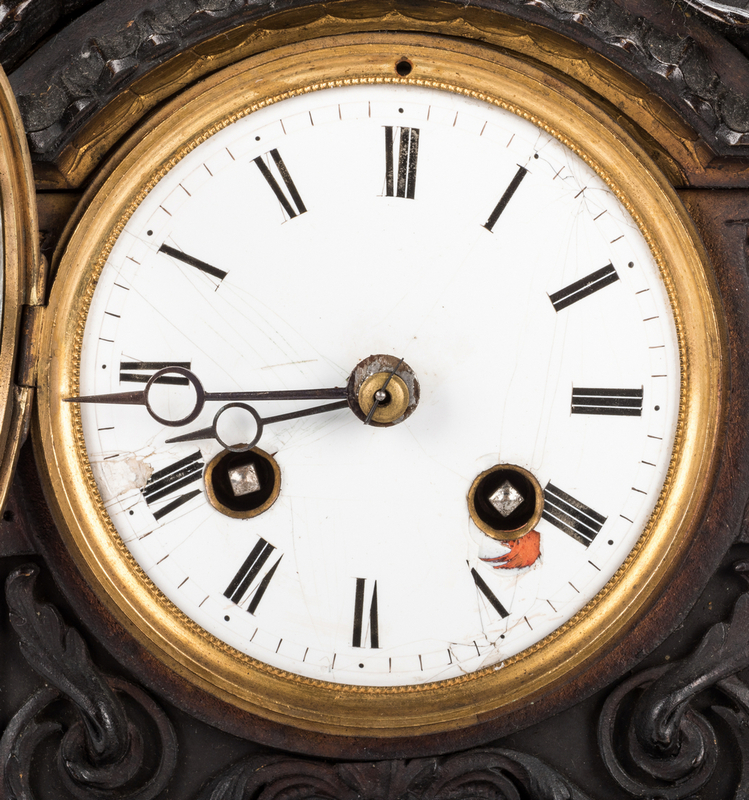 Clock – 18" H x 12" W x 6 3/4" D. Candelabra – 19 1/2" H x 9 1/4" dia. 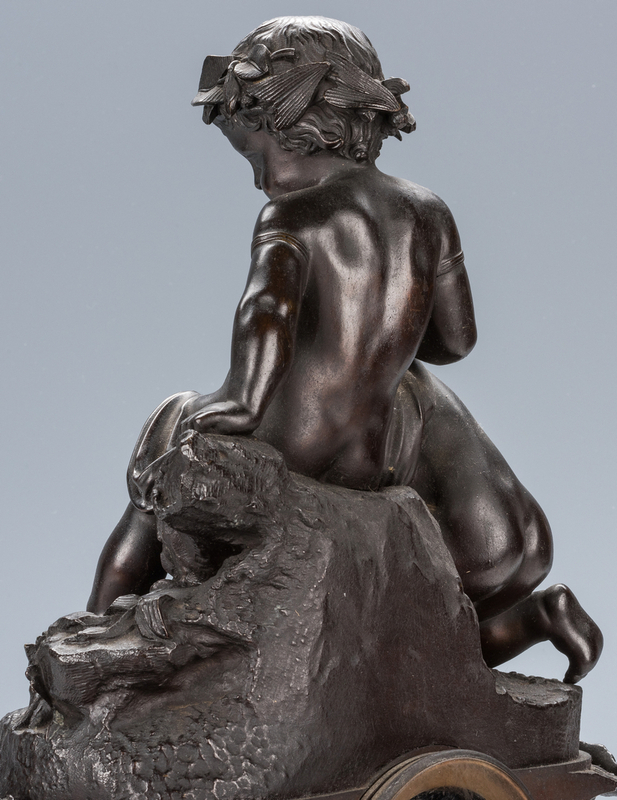 42 lbs total. 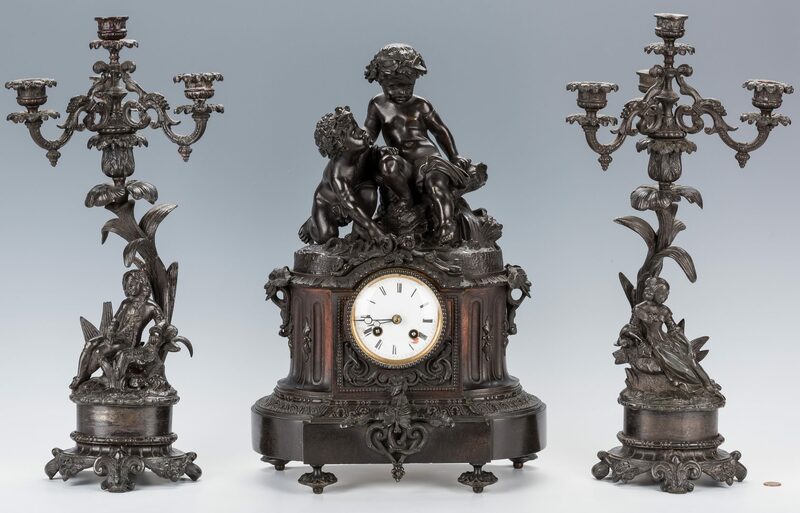 All pieces 19th century. 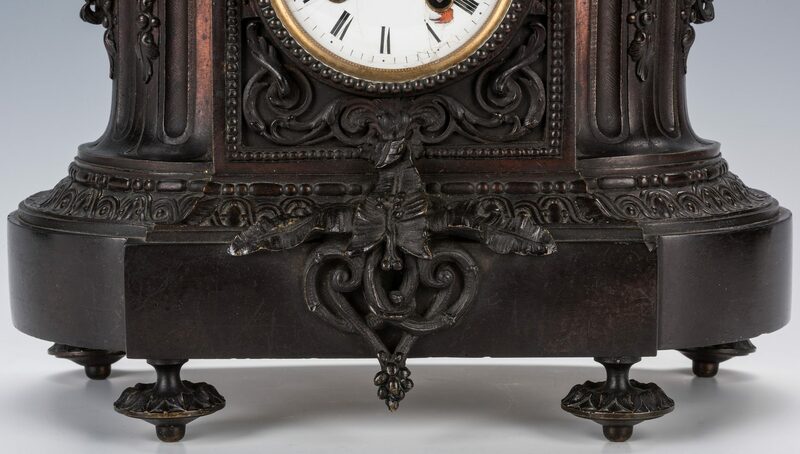 Provenance: Private Oak Ridge, TN estate. 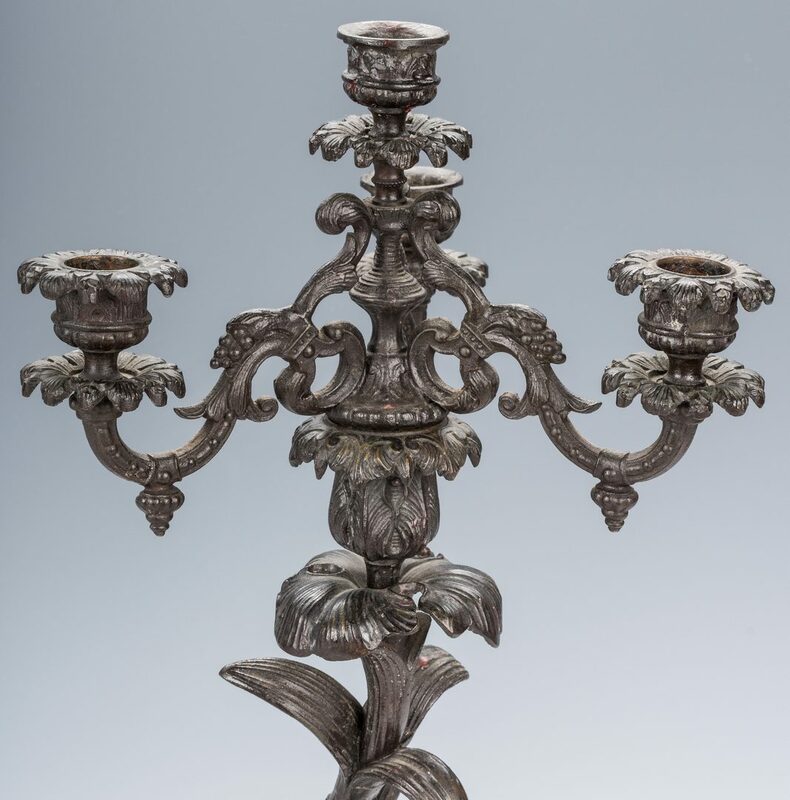 CONDITION: Candelabra missing 3 bobeche. 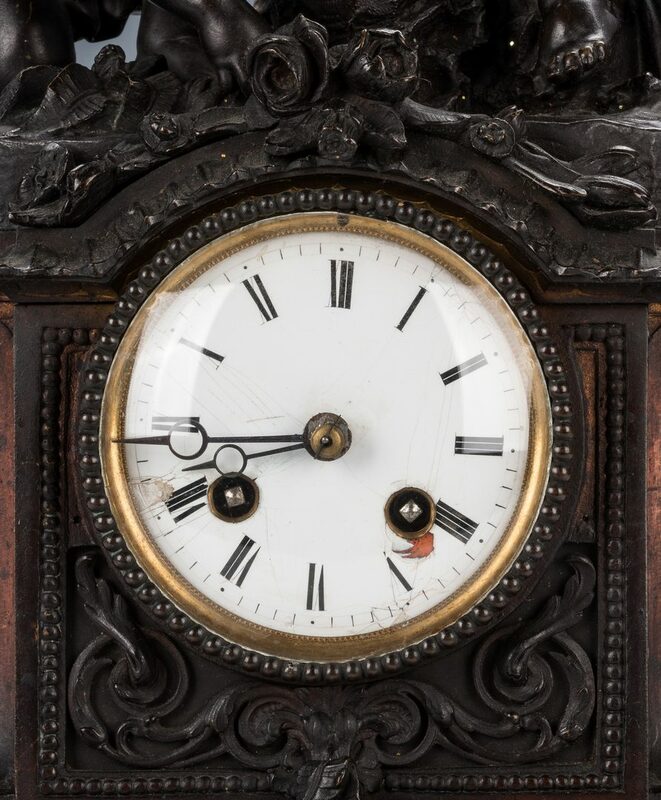 Glass door to back of clock with fractures. 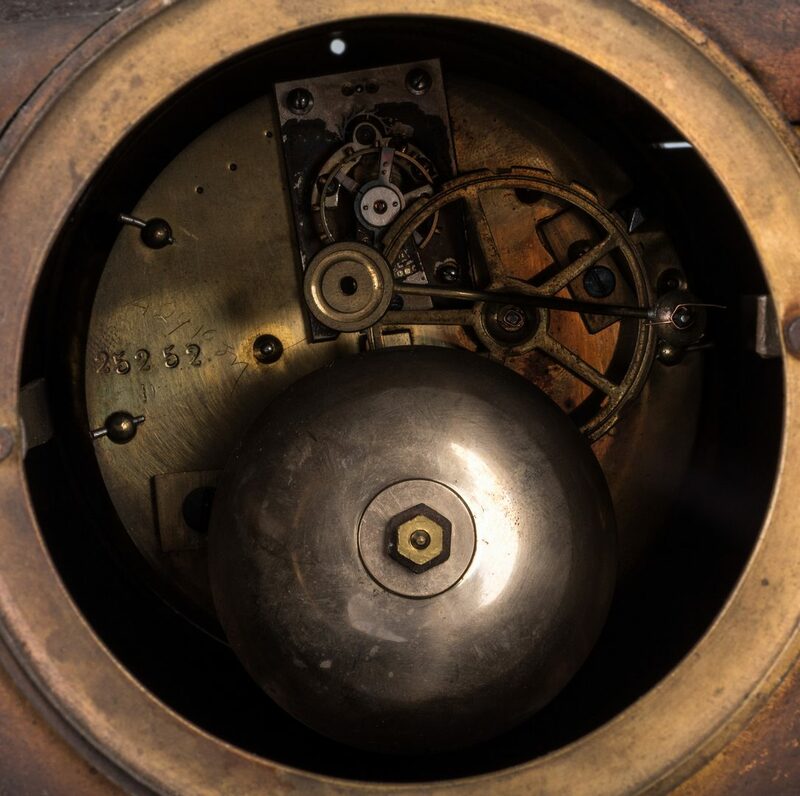 Works on clock not tested or guaranteed.